IDBI Bank Executive Recruitment 2018 - Apply Online for 760 Executive Posts in IDBI Bank, Across India on Contract Basis. Online Applications are invited by IDBI Bank from 06 Feb 2018 to 28 Feb 2018 for 760 vacancies. IDBI Bank Executive Result 2018: IDBI Bank has announced the Result on 29 May 2018 for Executive Exam 2018 which was conducted on 28 Apr 2018. 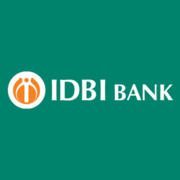 IDBI Bank Executive Admit Card 2018: IDBI Bank has issued the Admit Card on 13 Apr 2018 for the exam which is scheduled to be held on 28 Apr 2018. IDBI Bank Executive Pre Exam Training Admit Card 2018: IDBI Bank has issued the Admit Card on 27 Mar 2018 for the exam which is scheduled to be held on 16 Apr 2018 to 21 Apr 2018. Bank Transaction charges/ convenience charges for Online Payment of application fees /Intimation charges will have to be borne by the candidate. The selection process for the post of Executive will comprise of an Online Test. Eligible candidates may apply online at IDBI Bank's website (direct link is given below) from 06 Feb 2018 to 28 Feb 2018. Candidates log on to https://www.idbi.com/.